The ATS is the weapon of choice for many in the recruiting and hiring processes. And while it offers a lot of important functions — cataloguing resumes, tracking candidate progress, measuring metrics like time-to-fill, etc. — the ATS needs some supplemental help if recruiters are to compensate for its shortcomings, says Andrew Jacobson, founder and CEO of 360Candidate. ATSs can filter candidates, but they go about it in a very black-and-white, unnuanced way. The ATS makes binary decisions: a candidate either has 10 years of experience, or they don’t. If they don’t, they’re cut from the running – even if they have 9 years and 11 months of experience. Such binary decision-making is largely arbitrary and artificially limiting, Jacobson says. This often leads to recruiters almost missing – if not entirely missing – the best candidate for a job. While ATSs make decisions based on the binary facts of a resume, 360Candidate can supplement resumes with video responses, third-party references, social media data, written responses, and work samples, adding nuance and insight into a candidate’s simple resume. This makes screening much easier and much more accurate: recruiters can make decisions based on the sorts of data that an ATS can’t find on a resume. Nowadays, when recruiters are asssessing candidates beyond the binary screening of the ATS, they need to do it manually: they need to pick up a phone, call candidates, gather information, and then report back to hiring managers. This is a time-consuming and exhausting process. As a result, recruiters often artificially limit the candidate pools they are dealing with. They can only talk to so many people in a day, so any candidates they don’t get to are discarded entirely. 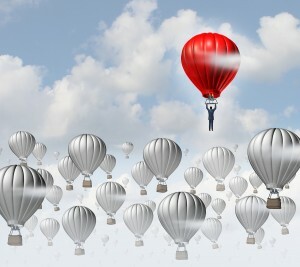 360Candidate can increase the hiring pool by increasing the flow of information to recruiters while minimizing the amount of effort they have to put in to gather that information, Jacobson says. Candidates don’t like dealing with complicated ATSs. In fact, companies can see dropout rates as high as 48 percent when they ask candidates to fill out long, complex ATS forms. 360Candidate’s screening process is simple and direct; it feels more like creating a Facebook page and less like filling out a job application. Candidates can also complete the process on their own time, logging in and out as befits their schedules. According to Jacobson, this convenience, simplicity, and freedom can reduce attrition rates, further widening the talent pool. The additional engagement of candidates via the 360Candidate software furthers candidates’ excitement for the position and company. Ultimately, 360Candidate is not exactly an ATS replacement. Rather, it’s a tool that recruiters can use to improve their screening processes and overcome the faults and weaknesses of their ATSs. 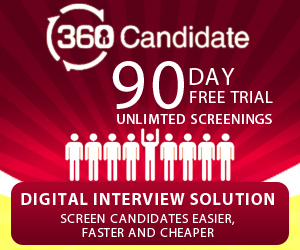 For more information about the candidate screening solution, visit 360Candidate’s website.